I am so thankful there are pioneers in the baking field that have experimented with combinations of flours to come up with a blend that is most similar to “wheat/gluten filled flour”. One of the mixes I just love is Jule’s Gluten Free Flour. I first ran into Jules at the Thrive Food Allergy show at McCormick Place. Her flair and dedication to making delicious baked goods sans gluten is evident in the recipes she sends out when you sign up for her mailing list. Not only do you get recipes for foods you thought were off limits with your dietary restrictions, she also sends out notifications for great discounts on her products and FREE E-cookbooks you can download filled with additional allergen free recipes. Thought you had to give up pierogies or linzertorte, not true with Jules! Jules is not one to compromise, a celiac patient herself, Jules Shepard was tired of bland-tasting, gritty alternatives to her favorite foods. So she set out to develop a truly all-purpose gluten-free flour she could use to replace the wheat/gluten filled flours found in her existing recipes. This mix has taken Jules over 2 years to develop! Jule’s Flour is made of: Expandex® Modified Tapioca Starch, Potato Starch, Corn Starch, Corn Flour, White Rice Flour and Xanthan Gum. Jule’s all purpose flour and mixes are manufactured in an allergy- and gluten-free facility, and are also certified kosher. What’s extra nice is you don’t have to worry about adding Xantham Gum to recipes, it’s already included! 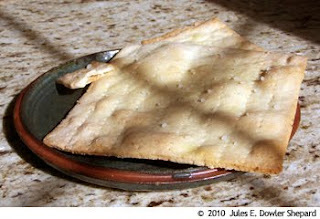 Today I will be sharing Jule’s Matzo for the upcoming Passover holiday. Also be sure to check out my list of recipes perfect for Easter. Enjoy! Whisk together Jules Gluten Free All Purpose flour and almond flour then add in the liquid slowly while stirring with a fork or pastry cutter. If the dough is too dry, add additional water by the ½ teaspoon in order to get dough wet enough to form a ball, but not be sticky. Form a ball with the dough and pat out onto a clean surface or pastry mat dusted with Jules Gluten Free All Purpose flour. Pat with your fingers to flatten the dough and roll to the thickness of a saltine cracker. Prick cracker with a fork and sprinkle with additional Kosher salt if desired. Bake for 10 minutes or until slightly browned on a parchment lined baking sheet. Sauces are liquids that add flavor, richness and appeal to foods, they are usually thickened using a starch or other thickening agent like a roux. There are 4 main French sauces: White, Brown, Red and Butter. 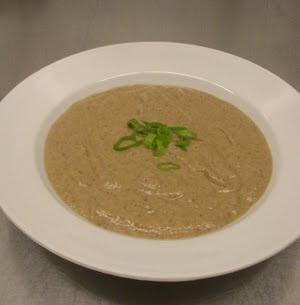 Veloute – This is a sauce made with a roux base and stock, Veloute is usually made with either chicken, veal or fish stock, but you can also make Veloute vegetarian by using vegetable stock. 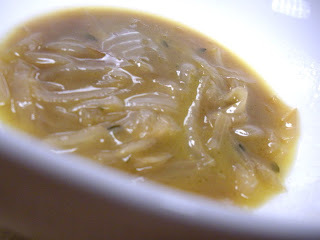 Leading sauces are then used to make a secondary leading sauce or small or final sauces. It’s amazing to think of how much effort goes into a sauce that seems to be such a small component of your meal, but think about it, have you ever had a meal that the sauce just finished perfectly? Like many European dishes, many steps are taken to make a sauce with the utmost care and love. Each step more important than the last to develop the final flavor. Today we are going to make Cream of Mushroom Soup using a chicken veloute (use vegetable stock to make vegetarian). Add olive oil and allergen free flour, whisk for 2 minutes. You don’t want mixture to brown, you want it light in color, this is called a blond roux. Slowly begin to add heated chicken stock and simmer until *nappe. Set aside. Take a saute pan and heat over medium heat. Add onions to pan and cook slowly until soft and translucent, set aside. Next, add mushrooms in small batches, season with kosher salt and pepper to taste and brown. If you put too many mushrooms in at once, you will steam them instead of sautéing. As you finish one batch of mushrooms, remove and add another until all are complete. Once all mushrooms are cooked, add mushrooms and onions back to the pan and add white wine to deglaze pan, cook until dry. Add mushrooms and onions to veloute and simmer for 20 minutes. Place mixture in blender and blend until smooth. Nappe – when you dip the spoon into your sauce and put your finger thru it. If the trail your finger makes thru the sauce holds it’s shape, you are there. It was cold and the snow was blistering all around on the streets of Chicago, but one step into Perennial and you feel like you are in the middle of summer, only looking at winter’s last attempts at holding her grip on the city thru the large floor to ceiling windows that surround the entire restaurant. The décor is bright and minimalistic with vibrant colors, whimsically contrasting patterns and varying wood accents, making you feel like you are at a summer cottage, but with a flair and style that is all Lincoln Park. Mark and I went early on Saturday night to beat the crowd, a great tip for allergenistas - if you go early in the evening before the big rush, the kitchen has more time to dedicate to your special needs and I have also found they go out of their way to make you something special, when they have the extra time. The staff was very knowledgeable on what dishes I could safely have (just a reminder, dairy and wheat/gluten are off my list) and recommended several alternatives and also knew which dishes the kitchen could easily modify. 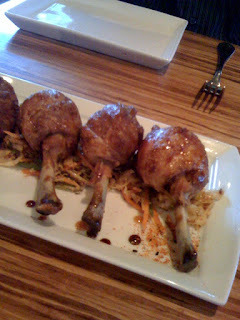 We started with glazed chicken lollipops with a soy reduction, orange, cashews and asian slaw. This dish was a nice balance of sweet and sour with the soy reduction and tart slaw. What I really enjoy about Perennial is it’s dishes are combinations of sophisticated flavors combined with playful presentation. 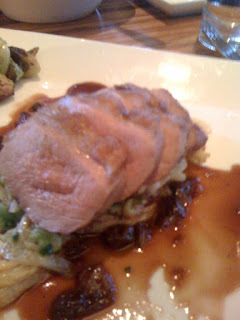 I ordered the Roasted Duck Breast with savory cabbage, duck confit and dried cherry sauce (we had to omit the foie gras pithivier as it contained some dairy). I really enjoyed this dish, the duck was cooked perfectly, juicy and succulent. The cabbage was braised and it’s simplicity in preparation paired nicely with the dried cherry sauce that had hints of both tart and sweet to offset the richness of the duck. Mark had the Pork Lover’s Obsession – a grilled loin, braised belly, trotter ragout, cauliflower swiss chard, winter fruits with potato puree. I had to pass on the potato puree but the pork dishes were wonderful. The braised belly just melted in your mouth. We ordered the roasted Brussels sprouts as our side, these were a hit, smoky and rich in flavor and taste. 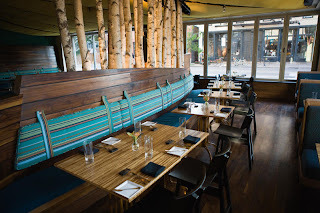 I can’t say enough about the amazing dinner we had at Perennial that is why I am proud to announce our next Safe & Sound Dinner at Perennial on Tuesday, May 4th. This dinner will be FREE of the Big Bad 8 Allergens and Gluten. I can’t wait to see the amazing menu Chef Ryan Poli develops for our special group of allergenistas. 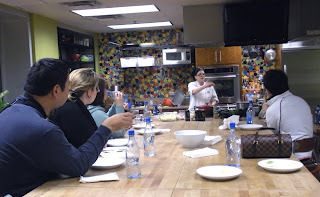 Last week, I had the pleasure of attending a cooking class at the Whole Foods Market – Halsted store. I just love Whole Foods Market, not only do they have the widest selection of products for us allergenistas, every store has special classes to teach you to cook your favorite dishes minus the allergens. If you get the chance to stop into Whole Foods Market – Halsted, ask for Bridget, she can set up a store tour for you to see the variety of allergen free products they offer. If something looks good, ask to taste it, Whole Foods Market is the best! Although Chef Renee wasn’t teaching an allergen free class, she was so resourceful in offering alternatives to foods I couldn’t eat. Chef Renee has been to Ireland many times to visit her friend Orla, who happens to have Celiac disease, so Chef Renee’s recipes are authentic and I am so pleased to be able to share them with you. Heat oil in a sauce pan over medium low heat. Add onions for sweating - be careful not to burn or caramelize onions, you want to cook onions slowly until they are translucent. (about 10 minutes). Add thyme and stir onions. Season with Salt and Pepper and cook for 2 minutes. Add Beef Stock and simmer for 20 minutes. 8 new potatoes, cut in ¼s (skin on). Place potatoes in stock pot of cold water; bring to boil until tender enough to poke, about 10-12 minutes. It is important to bring potatoes to boil instead of bringing water to boil and THEN adding the potatoes. This will help evenly cook the potatoes and keep the good starches intact. Place full heads of kale in boiling water and let cook for 1 minute (this Kale will be wilted and soft). Remove from heat. Separate whole leaves from stems in bite sized pieces, set aside. Disregard stems. (keeping the kale stems on while cooking, transfers the nutrients from the stem to the leaves). Slightly hand mash potatoes, you don’t want to fully mash, just smash a little. Add prepped Kale, green onions and smashed garlic. Heat large saute pan over medium heat, add 1 tablespoon olive oil and heat another minute. Add beef/lamb and cook until nicely brown. While beef is cooking, start making the mashed potatoes. Remove beef with slotted spoon and place on plate with paper towel to drain excess fat. Finish mashed potatoes and place to the side. Add onions to the same pan, sweat until nicely cooked down, about 6 minutes. Add carrots- cook for about 4 minutes. Add apple cider vinegar to taste. Cook down about 5 minutes. Add Beef Stock and cook for about 5-8 minutes. Add frozen peas and let cook for 2 minutes. 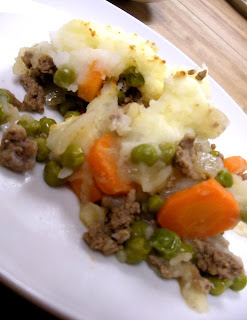 Place meat and veg mixture in an ungreased casserole dish. Top with pashed potatoes, sealing in the meat mixture. Bake in oven until tops are brown about 12-15 minutes. Before being diagnosed, I loved nothing more than eating Mexican food with soft warm flour tortillas. Once I could no longer eat gluten, I turned to corn and rice tortillas, but they always seem to fall apart once you add all your fixins and lacked that soft texture found in wheat flour tortillas. Well, you are in luck my friends, this recipe makes a light, and tasty tortilla that will hold everything in, so get that extra dollop of guacamole after all. Enjoy! Add shortening and water and mix well. If the mix is a little dry, add just enough extra water so you can roll dough into a ball and knead thoroughly. Cover tightly with plastic wrap and let rest for one hour. Remove from plastic wrap and roll into balls. 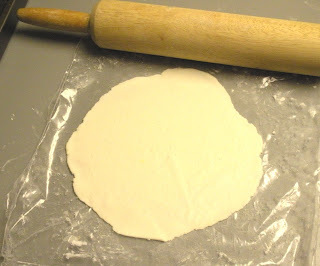 Then roll balls with a rolling pin between parchment or wax paper or on a floured board until very thin. To avoid cross-contamination, I cut two of the seams of a gallon size plastic bag and roll the dough in between the folded sheet. 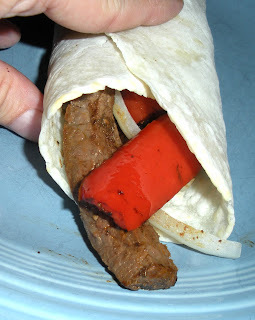 Try to keep the tortillas round and smooth. Carefully transfer the tortilla to a dry preheated nonstick pan on medium-high heat. Cook 30-45 seconds on each side. 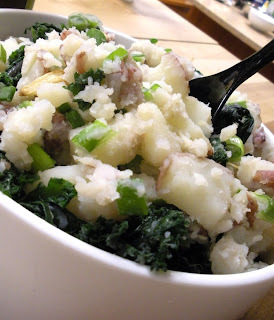 Next up: St. Patrick and Chef Renee share some classic Irish dishes – allergen free. Meryl may not have won the Oscar, but your family may award you one after you make this dish! The French have a different approach to cooking than we do, dishes are created with love and care for family and friends versus the “rush to get it on the table” philosophy so many of us subscribe to with soccer practice, homework, jobs and other obligations we all face. Each component brings different flavors to the dish and blended together these flavors just sing! There are also some differences due to the ingredients available to us today that were not available back in Julia’s day. For example, Julia simmers the bacon lardons before sautéing them to render the bacon fat in the beginning of the recipe to lower the salt content, I have found that bacon today is less salty and no longer requires this step. 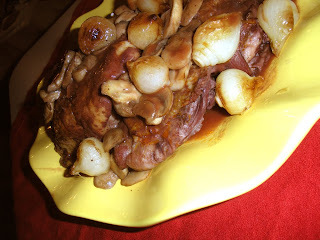 If you are wondering what Coq au Vin is, well the best way I can describe it, is as Boeuf Bourgignon with chicken as the protein. What a wonderful hearty dish that goes well with boiled potatoes topped with Earth Balance Soy Free Buttery Spread and fresh parsley. Enjoy! Once water is at boil add pearl onions with skin on. Cook onions for 3 minutes and remove from boiling water and place in ice water to stop cooking. Blot onions dry and set-aside. Take a deep sauté pan and heat for one minute over medium heat. Add 1 tablespoon of olive oil and heat another minute. Add bacon and cook until browned, remove and set aside. Take chicken, blot dry and salt and pepper on both sides, add to pan and sear on both sides so skin has golden brown color. Reduce heat to medium low and cook chicken, covered, slowly for 5 minutes on each side. Add bacon back to pan once chicken is flipped for second 5 minutes. Once chicken has cooked a full 10 minutes, drain any excess fat from the pan and return to burner. 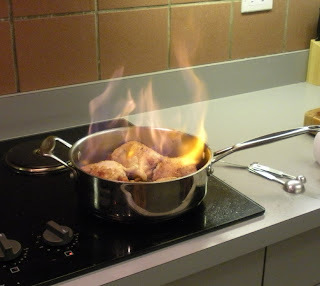 Remove pan immediately from heat and shake around, the flame will go out on it’s own. Place pan back on burner and reduce cognac until almost dry. Move chicken to side and smear tomato paste on bottom of pan to lightly brown. Add wine and stock to pan, make sure to use the full 3 cups of red wine and finish off with stock to almost cover the chicken. Add thyme, bay leaf and garlic to mixture, bring to a simmer and continue to simmer for 25-30 minutes. While the chicken is cooking, we are going to work on the onions and mushrooms, these components are prepared separately to have their own flavor separate from the wine. Take a sauté pan and heat it over a medium heat for one minute. Add onions and sauté until browned on all sides. Place parsley stems, garlic, thyme and bay leaf in cheese cloth (you can use a coffee filter in a pinch), put in bottom of baking dish and add onions on top. Cover onions with chicken stock to cover 2/3rds of the way. Place in oven and heat for 20-30 minutes or until onions are tender, set aside. Add mushrooms and sauté until browned, remove from heat and set aside. You can use the same sauté pan you used for the mushrooms. Add the flour and oil/Earth Balance and make a paste (in French cooking this is called a roux), heat over low heat for 2-3 minutes to take chalky flavor out of flour, set aside. Once the chicken has simmered for 30 minutes, remove chicken from pan and increase heat to medium high. Add roux to wine mixture and using a wire whisk, stir mixture briskly. Reduce sauce until it is nappe, this means that when you dip your spoon in the sauce and run your finger thru the sauce, it will keep it’s shape instead of dripping down where you ran your finger thru. Place chicken on a platter, add onions and mushrooms. Finally, strain sauce and pour over chicken, make sure to save for the side, you will be asked for more sauce! Who says you can’t enjoy French cuisine with food allergies???? Helping families deal with the challenges of food allergies. One of my favorite groups that provide vital information to allergenistas is the Food Allergy and Anaphylaxis Network (FAAN). I know lots of organizations feature gluten free diets and have gluten free cooking classes, and I love learning about resources for gluten free products, but there are 8 foods (I call them the Big Bad 8) that affect 90% of people with food allergies and those numbers are close to exceeding 12 million people, that’s one in 25 or 4% of the population! Many of the gluten free classes only focus on gluten free livingt, but not FAAN! FAAN has information on alternatives for the Big Bad 8 allergens, hidden sources of allergens in foods that might surprise you and a database of local support groups in your area. FAAN helps both newly diagnosed allergenistas, to seasoned veterans stay abreast on new legislation, product recalls and research in the food allergy field. FAAN has some upcoming events you don’t want to miss, so get out your calendar for these upcoming events. I am just listing the Chicagoland area, events, visit FAAN’s website for events in your area. 17th Annual Food Allergy Conference – download the brochure by clicking here. I missed the Food Allergy Conference last year, but can’t wait to attend, please let me know if you will be there, I would love to meet you. 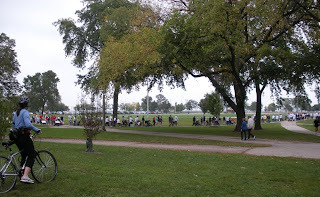 Save the Date for FAAN’s 2010 Chicago Walk for Food Allergies. I had a table at this walk last year and I have to say this is a great event! Not only do we have those with allergies walking, but friends and families that support their allergenistas. Lots of groups even have team t-shirts, all in support of their loved ones with allergies, I just love it!!!! 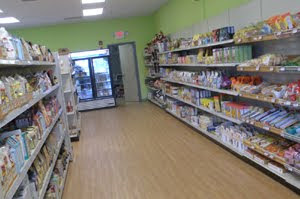 The Free From Market is located in Orland Park, IL on South LaGrange Road, (708) 590-6205. Some of the products I picked up were Really Great Food Company Coffee Cake Mix (I have yet to try it, but am dying to…) and Kinnikinnick cinnamon sugar donuts.